Staple Remover is back in force this week with five ultra bombs from Fallen Empires you could be playing in EDH. Previously I covered five cards from Homelands you could play, so why not Fallen Empires? Both sets were just about as bad, although Fallen Empires was slliiightly better. 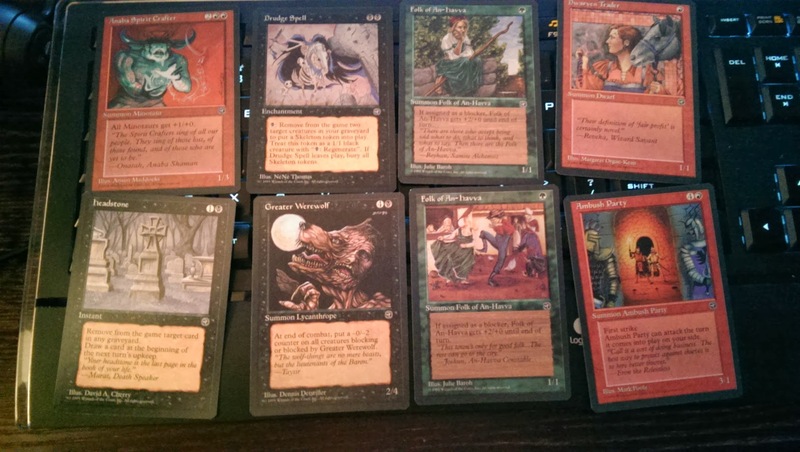 If you want to show off some jank tech this set is as good as any to dig up some deep cuts. I accidentally touched my eye after slicing a jalapeno pepper, so lets get to it before my eye swells shut and I can’t type anymore! Fallen Empires gets a bad rap these days as a weak set, and that is pretty fair. However, it did have some powerful cards like Hymn to Tourach. The only reason that card isn’t worth a pile of cash today is because the set was so over printed. Fallen Empires featured sacrificial thrulls, dwarves, lobsters and thallids. The basic premise is that each color had warring factions such as homarids vs. merfolk. I’ve heard of merfolk but what is a homarid you ask? Well, its a lobster/crab person basically, which I think was kind of awesome. If you know anything about the history of Magic’s story then you are probably aware of the brother’s war. Urza and Mishra had just faced off in an epic clash that left the world a total hole. Their war was so destructive that it triggered an ice age. That of course is the subject of Ice Age, but inbetween the war and the ice age, that is where Fallen Empires slots in. Enough of the history lesson it’s time to break your meta in half. For this review I’m not going to bother including Hymn to Tourach or High Tide. Those are fairly well known, so we are going to go ahead and dive even further into the world of Fallen Empires. 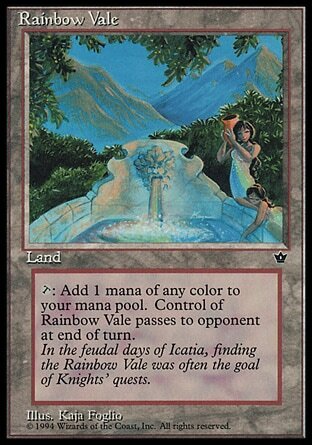 Rainbow Vale – This has been one of my favorite political cards in multiplayer Magic for a long time. Not only does it tap for any color mana, but it is then be passed on to an opponent that you want to recruit to your cause. I have seen games where the Alliance of the Rainbow Vale became a strong bond that lasted the entire match, each player using the vale and then swapping it back to the other ally each turn. It’s also a great tool to help give a player a boost who is mana screwed or needs just one extra mana to deal with some threat that is annoying the entire table. A lot of times it doesn’t take much to get someone on your side in a multiplayer game. Offering to let someone take your land out for a free spin can go a long way. Soul Exchange – What is that you say? 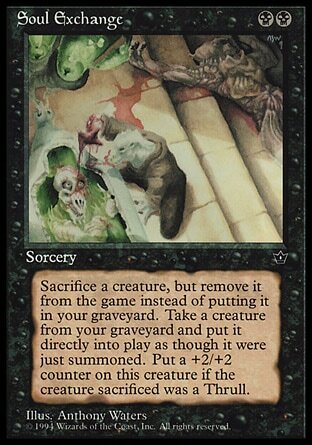 Your black deck has sacrifice effects and cards that you want to reanimate? Soul Exchange is basically a 2 mana one-shot Hell’s Caretaker. The benefit is you don’t have to wait a turn hoping no one kills your caretaker. Unfortunately it prevents any really fun shennanigans by exiling the creature you sacrifice. I can definitely see this played in dedicated reanimator decks that are dumping threats into their yard early in the game and looking to spring one onto the battlefield for cheap. Maybe it’s not as potent as Reanimate but I think it has potential in the right deck. 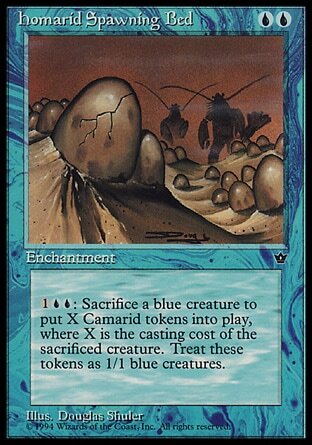 Homarid Spawning Bed – Blue doesn’t typically play in the creature sacrifice realm, which makes the spawning bed somewhat unique. Perhaps you are playing a voltron deck and you are worried about your suited-up commander being thieved or tucked by a devious opponent. Well, as long as that creature is blue you can sac it in response and net yourself a catch of the day. You’ll be feasting on lobster dinner while your opponents face the wrath of the be-clawed individuals. With the release of Theros the pool of playable big blue seamonsters has grown even larger. No big blue deck is going to be complete without some spawning action. Night Soil – “Hey is that Drew Tucker art?” HOW COULD YOU TELL? Night Soil is the real deal, it even got a reprint in the new Commander 2013 product. 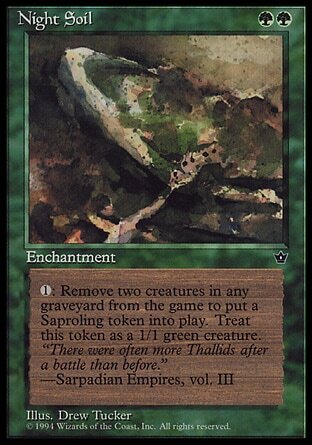 This card is graveyard hate and token generation all wrapped up into one cheap enchantment. I run this one in my Thromok deck to try and stop nasty stuff like Sepulchral Primordial from appearing later in the game and delivering a blow that would make me night soil myself. Goblin Warrens – Purphoros, God of the Forge might be the mightiest of the all the gods. Why? Because he turned some otherwise overlooked cards into absolute heroes. 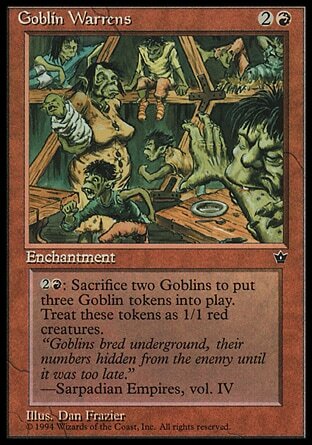 Once you manage to get a couple goblins onto the battlefield you are going to get two sac triggers and three ETB triggers for of a misers fee of only 3 mana. Maybe you are living the dream and have Grave Pact and Purphoros out with the warrens. Each opponent will lose 2 creatures and take 6 damage, while you gain a goblin. Obviously it won’t always be this glorious in the warrens, but any deck running a goblin theme can surely find some fun uses for this card. Yep, you are seeing this image correctly, I opened two Folk of An-havva in the same 8 card booster. At least I got two different arts! The obvious bomb here is the spirit crafter. Minotaur tribal is OP. Let’s get it! 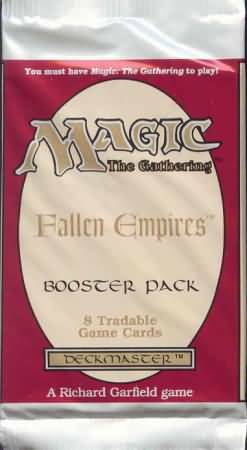 If there are any Fallen Empires cards you feel I overlooked, feel free to drop a comment, send me an email or shoot me a tweet.